A good pair of on-ear, wireless headphones don’t need to cost an arm and a leg. The highly-rated REMXD On-Ear Bluetooth Headphones offer crisp, wireless sound, 15 hours of battery life, and are on sale now for just $35.99 - nearly 30% off MSRP, and the best price on the web. 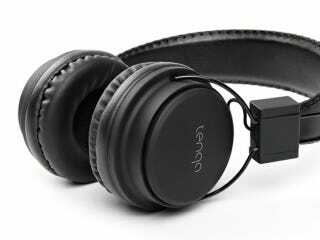 It’s no surprise the Tenqa REMXD headphones boast a 4-star rating on Amazon - they offer the convenience of a bluetooth connection with some seriously impressive sound quality and a comfortable, on-ear fit. A built-in microphone, volume and track controls let you easily take calls and listen to music up to 33 feet away. The headphones are powered by a rechargeable internal battery, which gets you 15 hours of playback, or over 20 hours of call time. At just $35.99 + free shipping (nearly 30% off MSRP), these are a great pick-up for the price - get yours at the link below.